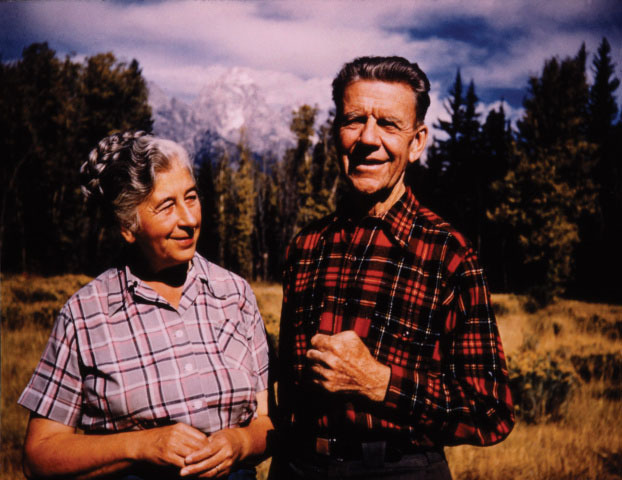 The environmental movement in the United States, through the bulk of the 20th Century, was characterized by iconic thought leaders and activists – people like Mardy and Olaus Murie, John Muir, Rachel Carson – who took on critical environmental issues and laid the groundwork for the grassroots movement to come. The passage of The Wilderness Act in 1964 marked the beginning of a decade-long run, fueled by grassroots politics and a growing popular awareness of environmental concerns, which saw passage of nearly every major environmental law we presently enjoy. The widespread popular support provided political capital that was converted into critical legal and policy victories. The subsequent three decades were characterized, on the other hand, by a shift away from building and sustaining the public support needed for broad and deep political backing for conservation values. Increasingly, the movement expended the political capital it had acquired on enforcing this new suite of environmental laws while investing less and less in sustaining that capital. By the 1990s and 2000s, most of the environmental laws of the 1960s and early 1970s had been steadily weakened, in some cases through outright amendment but also frequently through regulatory and policy change. But the environmental community stayed the course, investing heavy resources in litigation, lobbying, and back channel political strategies while continuing to invest very little in grassroots organizing and coalition building. Today, conservation values rarely serve as determinants in voting behavior or major legislative activity. There have been some bright spots, including initiatives around renewable energy, land use, and transportation. But the language and implementation of environmental laws continues to erode, grassroots political support is as weak as it’s been in decades, and the environmental movement continues to fight largely rearguard actions. Even where public opinion lies squarely on the side of strengthening environmental protection and even where the often-fractured environmental community is largely unified – the climate change bill comes to mind – the movement doesn’t have the political muscle to close the deal. We created and earned a great deal of political capital up to and through the huge successes of 1960s and 1970s, in other words, we spent that capital down in the subsequent decades without replenishing it, and here we sit in 2012 wondering why the political and legal strategies (which fundamentally depend on that capital) just don’t seem to work. I’m pretty sure that the answer is not to continue focusing on litigation, lobbying, and inside baseball strategies at the expense of the investments that actually build political power around conservation values. It’s not that we should abandon those critical defensive strategies. We have to continue fighting hard in court and inside the Beltway. But those strategies, by and large, don’t create political power, they expend it. So long as we under-invest in the strategies that create sustained political support, our ability to win the political fights will continue to diminish. To offer just one example of the problem: environmental funders and groups tend to think of ‘diverse allies” as folks you recruit to be spokespeople for your cause rather than groups with whom you build long-term relationships around shared interests and values. The standard action item: “We need to find a fill-in-the-blank who we can quote in this press release criticizing fill-in-the-blank.” Environmental groups often find and use those spokespeople, but at best those efforts put a “diverse voices” sheen on our media efforts. They simply sidestep the really difficult work of building a sustained relationship that advances multiple agendas. And funders often scoff at pitches for investing in relationship building … the timeframes were too long (it will take years! ), the potential shared interests and political agenda uncertain (the point of building relationships across broad constituencies is that you don’t know ultimately what shared interests you might uncover or develop), and the outcomes too vague. Cultivating the Grassroots by Sarah Hansen. Earlier this year, the National Committee for Responsive Philanthropy published a report exploring one critical dimension – the role of environmental grantmakers – of this challenge. Authored by Sarah Hansen, a veteran of the environmental philanthropy world with an eight-year term as the executive director of the Environmental Grantmakers Association under her belt, Cultivating the Grassroots: A Winning Approach for Environment and Climate Funders politely but firmly lays much of the blame on the funders themselves. Provide at least 20 percent of grant dollars to benefit explicitly communities of the future. Invest at least 25 percent of grant dollars in grassroots advocacy, organizing, and civic engagement. Take the long view, prepare for tipping points. Her analysis fits my own experience and observation (and offered plenty of new insights, as well), and the report is worth a read. But I’m also willing to place more of the blame on environmental nonprofits, as well, since we don’t tend to think in these terms, either (yes, of course, some groups do – and hats off to them – but I don’t think that perspective is pervasive among environmental groups). Moreover, the nonprofits absorbing the lion’s share of grant funding – those with the most ability to push back on funders and best equipped to fund a wider array of strategies independent of grant funding simply because of their size and financial capacity – are by far the most resistant to change. The Wilderness Society’s recent staff purge, becoming even more top-heavy and less capable of supporting on-the-ground grassroots organizing and relationship building, is just one example. Incidentally, there are some fascinating parallels between the issue Hansen tackles in her report (a focus on top-down policy strategies vs. ground-up grassroots capacity-building) and the challenge to conventional nonprofit models posed by the rise of social networking … organizations that want to remain effective can’t simply layer social networking on top of a deeply hierarchical, tightly controlled organizational culture. As Beth Kanter and Allison Fine argue in The Networked Nonprofit (and as Trey and I argue in the “Social Lipstick on a Networked Pig” chapter of The Nimble Nonprofit), it requires shifting real control and autonomy in a more dispersed, unpredictable way. Another, parallel read on the history of the environmental movement: isolated visionaries led the way to a powerful grassroots movement which then evolved into a deeply professionalized nonprofit industry. I don’t think the answer is to abandon the movement’s well-earned professionalization and political maturation. Trying to return to a rosy-hued nostalgic past usually causes more problems than it solves, and the challenges (environmental and political) are too complex and the obstacles too deeply rooted to overcome without sophisticated political strategies and aggressive legal strategies. 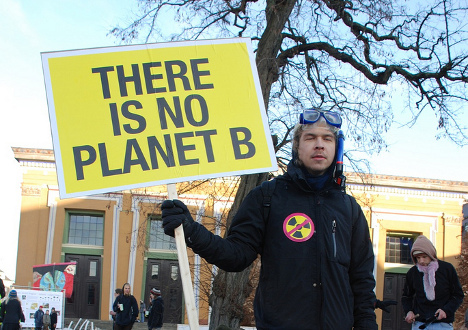 But there isn’t any reason why the movement can’t begin investing substantially in community-based and grassroots organizations, in strategies that emphasize long-term relationship building across sectors, in organizations that emphasize environmental justice and other issues differentially impacting marginalized communities, and in efforts that build sustained political power around environmental values. And unless we do, it’s tough to see how we’ll start winning. Fantastic post, this was really well researched and reasoned and laid out. I’m heartened to see more of a critical mass of posts like this not only challenging the status quo but laying out an increasingly credible path to a more effective future. Well done. I’m a friend of Ted by the way, he pointed me to your post. Thank you. Thanks Jason – I appreciate the comment. Next Next post: Figured Out the Rest of Your 2012 Conference Plan Yet?